While you might find the ground feeder unnecessary, and would prefer to feed the horse grain straight on the ground, you risk exposing it to sand colic occurring when the horse ingests a great deal of dirt, leading to digestive issues and possibly diarrhea; this is the perfect example of the idiom prevention is better than cure. Same as the hay feeders, the ground feeders are also meant to be of essence when preventing food waste, saving you some dollars along the way, and promoting healthy eating habits. Just be sure to make providing fresh food and water daily and maintaining the cleanliness of the feeders and bowls your important chores. 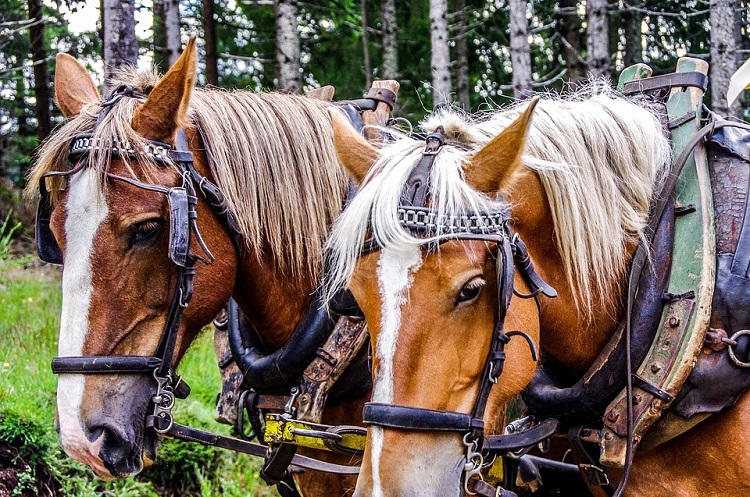 The next step is taking care of grooming, but mind you, this doesn’t only refer to brushing, hoof picking is part of this too so when you’re purchasing horse equipment, brushes and combs aside, don’t forget the hoof picks. These are picks especially designed for hoof cleaning, and when you do picking daily, you get to ensure the cleanliness of the hooves as well as their health; think about it, paying attention to the hooves every day means you can notice when a problem appears and nip it in the bud before it turns into something major. Blankets are certainly a must not strictly only for those who live in the colder areas where temperatures are known to go below zero as they can be of help when dealing with those annoying flies bothering your horse. Speaking of which, it’s advisable to stack up on repellents also and if your horse doesn’t mind it, count on the help of fly masks. There are many options of masks available in stores, including those with scents from essential oils such as citronella. In case of intensive exercising, you can’t leave out wraps from the essentials given their crucial role in soothing muscles and speeding up recovery.